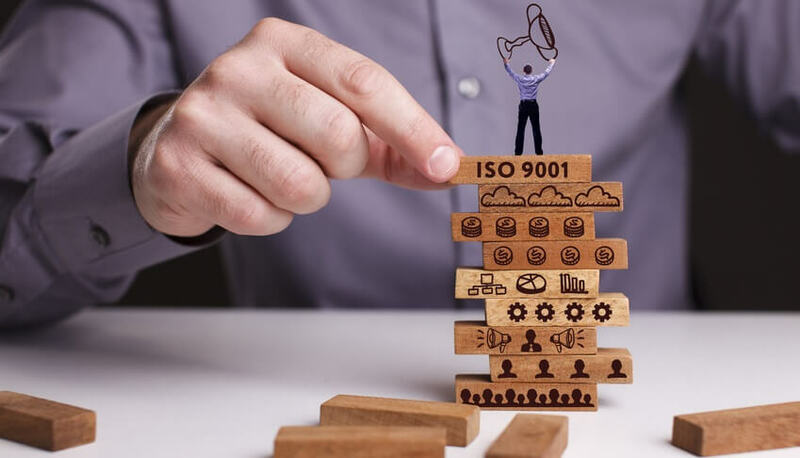 The fundamental tool to use for companies that aim for a fast and successful growth is the implementation of Quality Management Systems according to the UNI EN ISO 9001:2015 standard. However, the provisions of this standard are not just a series of extra requirements to be added to a list; nor are they a formality in order to be able to participate in certain public tenders, or a mere branding tool. Interpreted correctly, a Quality Management System can be an extraordinary tool for aligning, simplifying and streamlining the company’s processes and rendering them more effective, and for managing the different parts of the company’s structure in a consistent manner, with a view to continuous improvement and with a strong orientation towards the needs of the stakeholders, thus favoring a powerful acceleration in terms of organizational development. Once you choose this path, one element that often contributes to making a real difference is investment in technology, and, in particular, investment in dedicated Human Resources software. Without the support of the appropriate tools, it is difficult nowadays to set up the right conditions for your human capital in order to achieve optimal performance and meet the company’s growth objectives. An essential part of the ISO 9001 requirements concerns both the Human Resources department and the infrastructure—including the technology—at its disposal. To achieve a high level of growth and a good level of satisfaction for all internal and external stakeholders, an organization must have at its disposal all the personnel necessary for the proper operation and control of its processes. In particular, the standard emphasizes two concepts: competence and awareness. maintain records of this development path. To comply with these requirements, a company must therefore begin with a competency map in order to outline a performance management process for its staff. Accordingly, two aspects take on a fundamental importance: on one hand, the support of a consulting firm specializing in compliance and organizational development; on the other hand, having the appropriate technological tools at one’s disposal. Creating the competency map, dynamically associated with the corporate organizational chart. Automatic calculation of the skills gap between the desired level and the existing one. Tracking role changes within the company. Shared development of initiatives aimed at developing skills and improving performance. Planning training courses to fill the gaps. Advanced reporting that serves as a business intelligence tool. Such software systems allow you to quickly identify any gaps in your company’s organizational structure and take immediate steps to remedy them, through training programs, reassigning responsibilities, recruitment, etc. They also enable you to monitor the management in an effective manner, preventing any critical bottlenecks. Awareness is a factor whose importance is often underestimated by companies working towards achieving ISO 9001 certification. the consequences of not complying with the requirements of the Quality Management System. The use of Excel files for the exclusive benefit of the HR department fails to provide awareness or generate proactivity. the opportunity for them to interact as part of the ongoing processes, not only regarding their evaluation path but also the training plan, the decisions regarding the vacation plan, etc. The use of HR software such as the Altamira suite offers additional advantages for companies pursuing a growth path through organizational development. Such software support the HR department and the company’s organizational structure in order to ensure effective and efficient compliance with the various regulations in effect, and to uphold high security standards for managing data, which may include sensitive personal information. support in ensuring compliance with other laws, rules, regulations and policies, including those regarding workplace safety, company medical visits, compulsory training, etc. Therefore, the use of the appropriate tools helps ensure greater satisfaction for all the stakeholders in an organization.